This one obviously is prohibitively rare, with only 5 appearances that have been documented. The most recent is the finest known, and is the Hilt example which had been cleaned in the past with XF details. 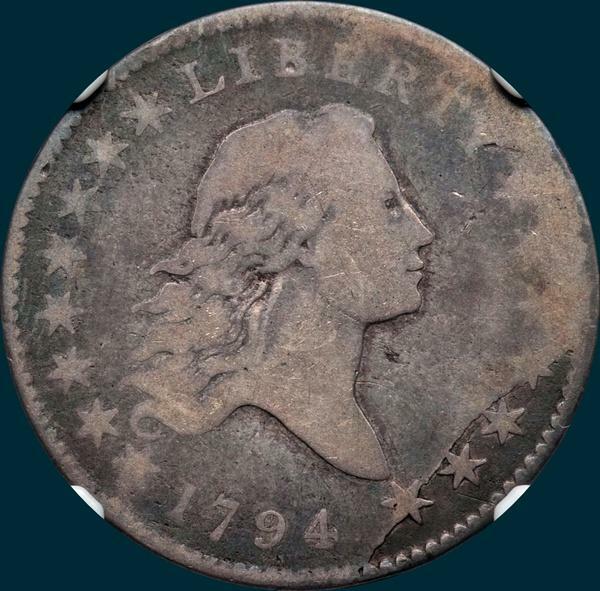 The severe crack that likely developed early in production limited the obverse die's use. 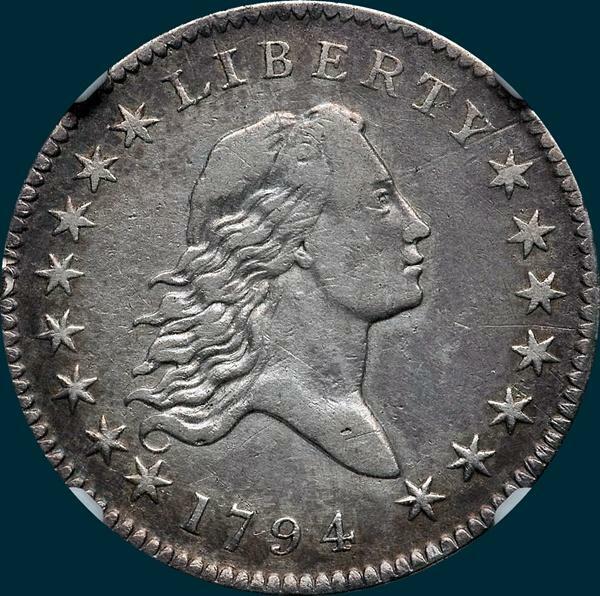 Variety Attribution : Obverse-the only 1794 obverse where both stars 1 and 2 are clear of the lowest curl. Star 15 has a blunt point near end of bust and upper side of this point is nearly in line with upper edge of bust. Late states of die show a die break from edge near star 12 curves down through two points of same, along inner points of star 13, 14 and through star 15 to milling just right of 4. 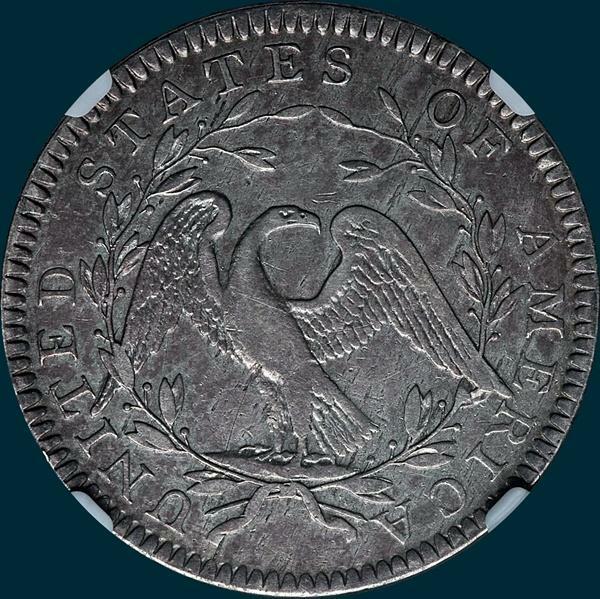 Below is the later die state for the obverse.